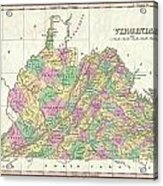 1827 Finley Map Of Virginia galaxy s8 case by Paul Fearn. Protect your Galaxy S8 with an impact-resistant, slim-profile, hard-shell case. The image is printed directly onto the case and wrapped around the edges for a beautiful presentation. Simply snap the case onto your Galaxy S8 for instant protection and direct access to all of the phone's features! 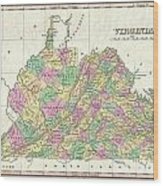 There are no comments for 1827 Finley Map Of Virginia. Click here to post the first comment. 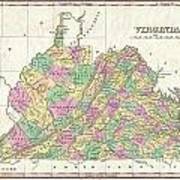 A beautiful example of Finley's important 1827 map of Virginia. 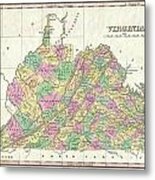 Includes Washington D.C. or the District of Columbia. Depicts the state, which includes modern day West Virginia, with moderate detail in Finley's classic minimalist style. Shows river ways, roads, canals, and some topographical features. Offers color coding at the county level. Title and scale in upper right quadrant. 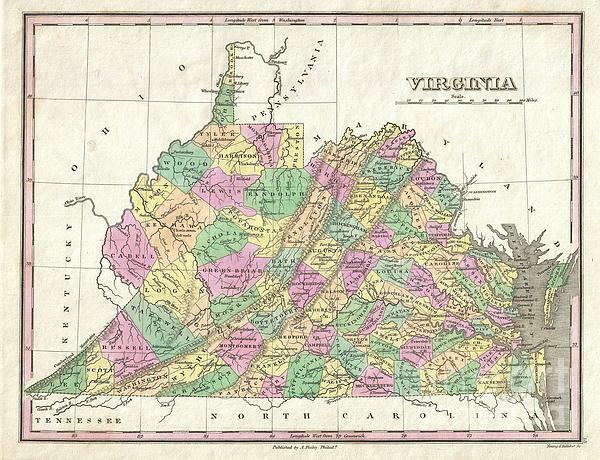 One of the best early 19th century maps of Virginia. Engraved by Young and Delleker for the 1827 edition of Anthony Finley's General Atlas .